NJ’s foray into the regulated gambling world did not go as smoothly as planned. 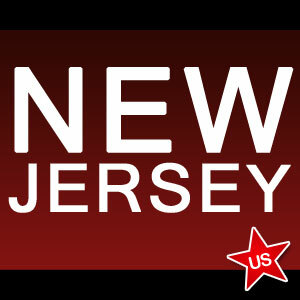 At 6 p.m. on November 21st, New Jersey and its nearly 9 million inhabitants got their first taste of regulated online poker – well, at least the minority that managed to successfully login. The state’s iGaming soft launch was crippled by a variety of bugs, software failures and verification problems, leading most hopefuls to give up their efforts and try again tomorrow. The most common issue plaguing NJ players is the inability to login due to location issues. In short, the system would inform players that they are not located in NJ, even if they were miles within its borders. There also have been several accounts of players being able to login from laptops but not desktops, likely due to their desktops not having Wi-Fi. In what amounts to the most bizarre software failure of the evening, the system would recognize a player as residing in NJ, only to boot them off the server shortly thereafter. A pop-up would state that they were no longer located in the state of New Jersey, even if they hadn’t moved from their computer. Clearly, NJ’s geo-location tracking system needs to be tweaked. Other players have experienced more severe issues. Some have tried to deposit money, only to have the system lock-up. Several, Jim DeFrancesco of Ship Bottom among them, were told that HarrahsCasino.com did not accept credit cards, even though credits cards are clearly listed as one of the payment options. HarrahsCasino.com was not the only site that refused to accept certain forms of payment. A few poker sites wouldn’t load at all, and of the ones that did, many of them suffered from crippling lag. Compounding matters, players on sites like WSOP.com and UltimatePoker.com experienced freezes during hands, forcing them to close the software and log back in. On Thursday, the seven casinos that were awarded gaming permits by NJ’s Division of Gaming Enforcement (DGE) were all given the go-ahead to initiate the soft launch period. A trivial issue delayed the Golden Nugget’s foray into the iGaimng world slightly, but it was resolved in time for the casino to commerce operations. The Nugget proceeded to offer online poker and casino games under its own moniker, powered by Bally Technologies. Casinos were quick to take advantage of their five website maximum, as many of them launched multiple sites. In total, the seven casinos unveiled 17 new gaming sites. Launch bugs are nothing new in the Internet gambling arena. When Nevada first launched operations, its residents experienced many of the same location and cashiering and authentication issues, most of which have since been resolved. The DGE forced casinos and their online partners to conduct a trial launch for this very reason; to work out the kinks before going live. With that said, not even the DGE could have expected the myriad of paralyzing issues affecting NJ’s online gambling community. Here’s hoping that at least some of them are resolved by the Nov. 26th go live date.